Skipper: Euros 130 / Day Cleaning: Euros 80 / Oblig. Early Booking Discount: -10 booking till 31.12. 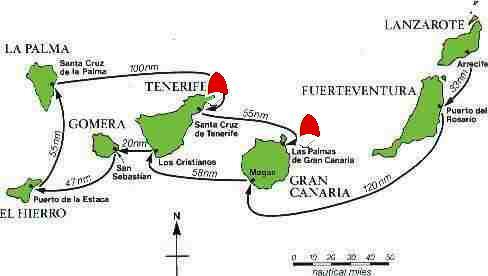 ONE WAY OPTION: Santa Cruz Tenerife to any marina at south of Tenerife.150 Euros..
Pricelist copyriht by Boss charter.